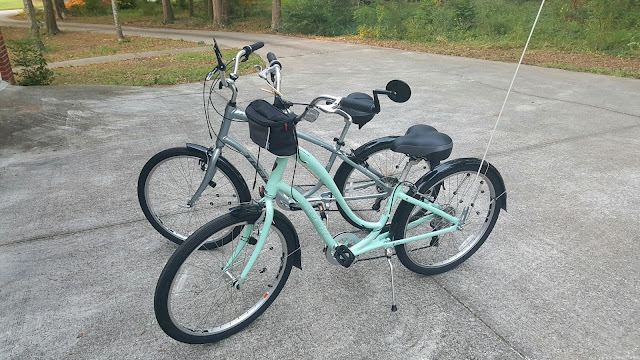 My wife Sylvia found the perfect bikes for slow social rides yesterday at Cycle World. The previous owner of the bike had to stop riding due to health issues per her doctor’s orders. We purchased both bikes for $600. I have not had a bike with a kickstand since I was 7 years old back in 1960. I have not had a bike with fenders since the mid-1990s. I now have a nice bike commuter bicycle for those short rides to work.